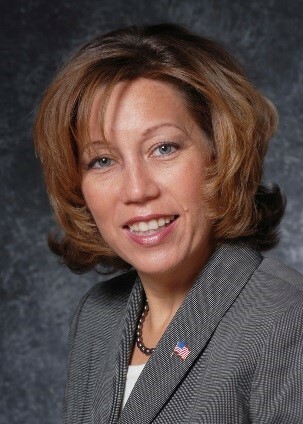 Brenda Dennstedt began her term on the Western Municipal Water District (Western) board in January 2007. Ms. Dennstedt represents Division 3, which comprises Lake Mathews, Lake Elsinore, properties located south of Cajalco Road and west of the 215 Freeway, Temecula, Canyon Lake, Wildomar, and Murrieta. As a board member with the former Murrieta County Water District, which merged with Western in late 2005, Ms. Dennstedt serves on Western's Murrieta Advisory and Execuitve committees. She represents Western on several committees, including Eastern Municipal Water District; Elsinore Valley Municipal Water District; and the Ad Hoc Committee for Rancho California Water District. Director Dennstedt is also the representative for the Western Riverside Council of Governments; Lake Elsinore and San Jacinto Watersheds Authority, and the alternate for the Santa Ana Watershed Project Authority; and the Association of the California Water Agencies Joint Powers Authority. Additionally, she serves as the District's alternate for the Temescal Valley Municipal Advisory Council. Her term expires on December 2, 2022.